Over four decades after it closed to passengers, Charfield station building still survives, although virtually all other traces of the station have disappeared. 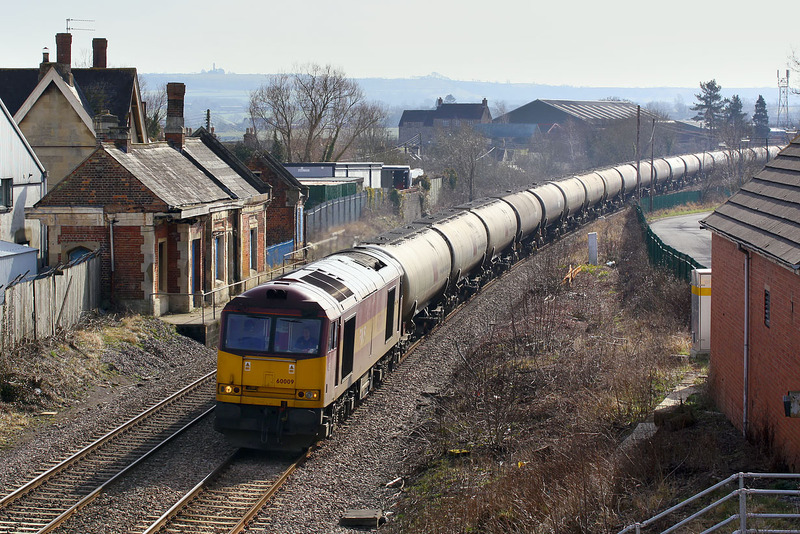 60009 passes the site on 2 March 2010 with the 6E41 11:41 Westerleigh to Lindsey oil empties. In 2010 this train is virtually the only working left that brings a Class 60 to the south of England. The ridge of the Cotswold Hills can be seen in the background, with the 1846 built Somerset Monument at Hawkesbury Upton just visible against the skyline on the left.